This is a map of our travels in Israel so far. Just north of Haifa and sharing the same bay for ports is the city of Akko (Acre.) During the Crusades (1099 – 1291) it became the destination of Christian pilgrims coming by ship from Western Europe. 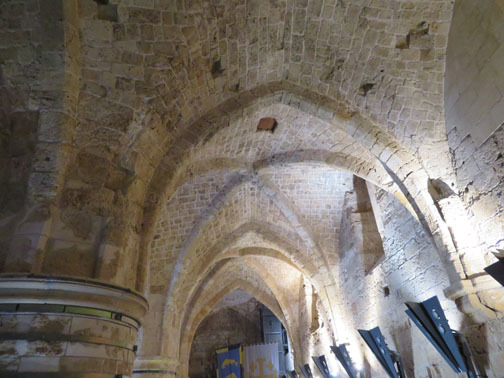 Various monastic orders based in Akko took on roles as protectors, bankers, and caretakers for the pilgrims, and consequently, it became an important city. One of the orders was the Knights of the Templars and another was the Knights of the Hospitallers. In1291 the Mamelukes took control and destroyed the city by covering it with sand. This ended the Crusades. When the Ottomans took over in 1516, they built a city on top of the sand. 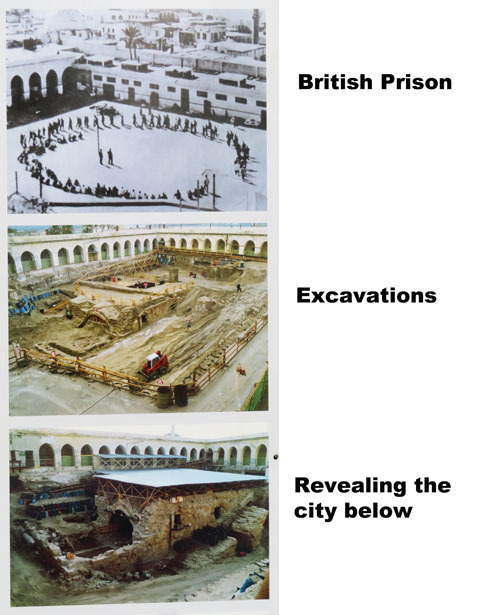 After WWI the British controlled Israel and used the remains of the Ottoman city for a prison. 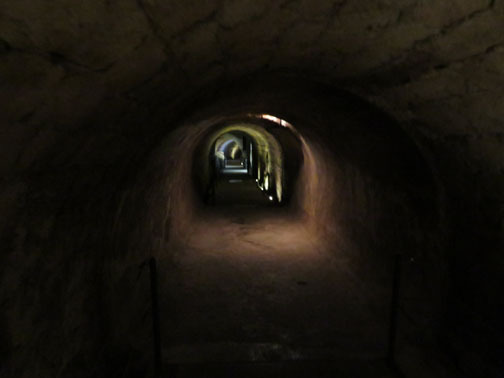 When a couple of inmates tried to escape by digging a tunnel under the floor, they dug deep enough to fall into the Crusaders’ chambers. Then later, a woman hired a plumber to fix her drains, and he too dug down and discovered another part of the earlier city. Since then extensive work has been done to reveal the city under the city. 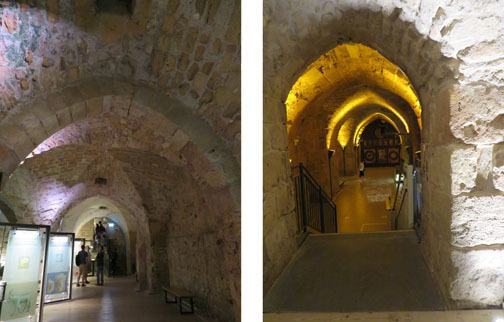 The sand protected much of the lower city and the vaulted chambers and passages are in excellent condition. The restored parts of the city had very informative displays in an effort to capture the spirit of the medieval era. 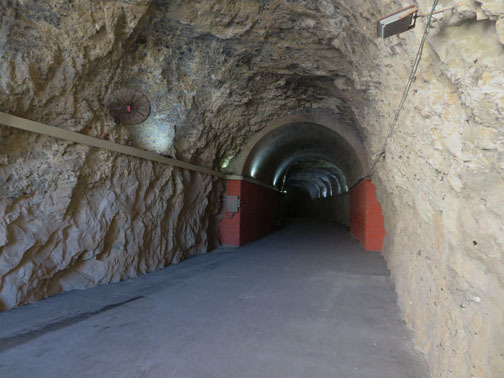 At one point we walked through a very low tunnel that had functioned as their sewer. 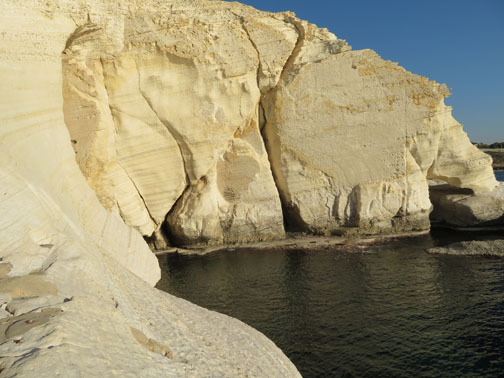 Located along the coast where Israel shares a border with Lebanon are limestone cliffs that go down to the sea. 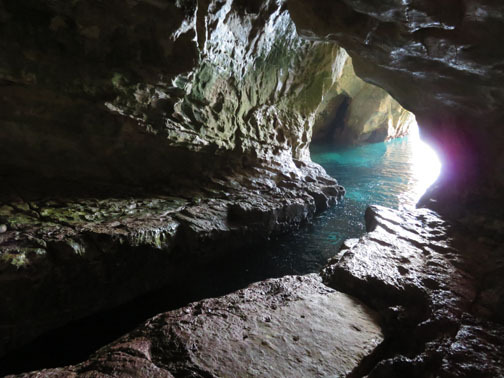 Years of erosion by water has created natural caves into the rocks. During WW II, the British built a tunnel through the cliff for a train that would link Europe with Egypt. 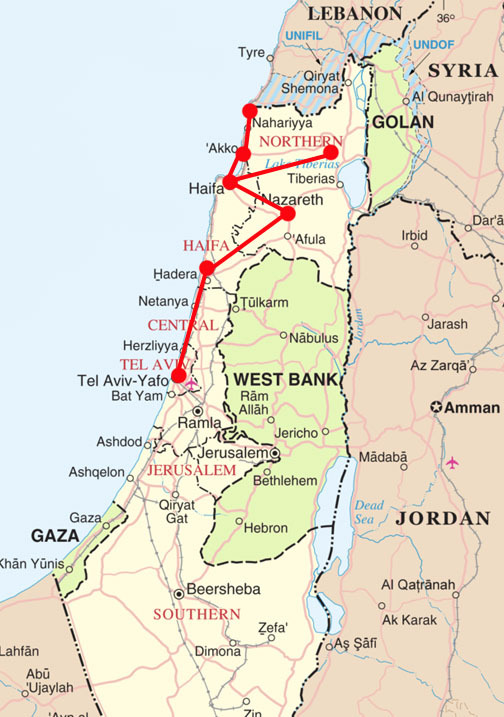 During the War of Independence, the Israelis blew up the tunnel to prevent the Arabs from using it. This is part of the tunnel that remains. 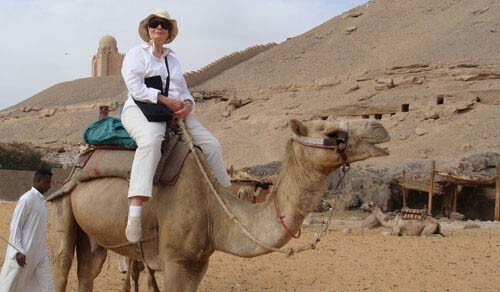 It was just steps from the caves to the border with Lebanon. Above the cliff is a wall built by the Israelis that extends underground to prevent tunnels. 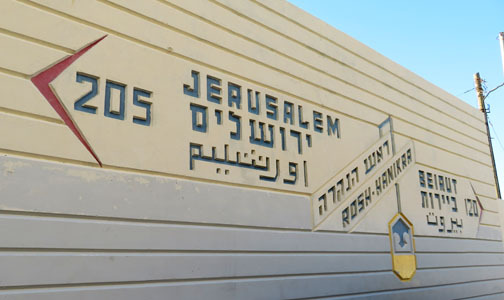 This entry was posted in Israel on November 2, 2018 by JWH.